J.B. Pritzker speaks at an event. The Democratic candidate for governor donated $7 million to his campaign on March 27. 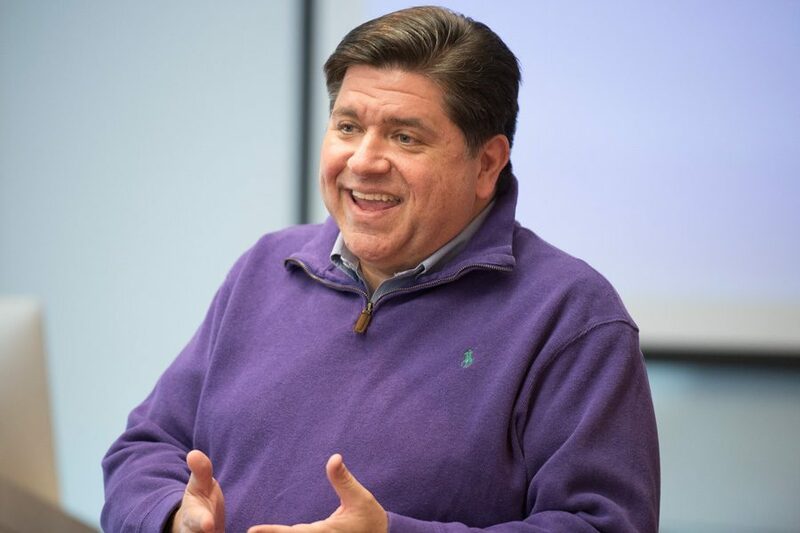 Democratic gubernatorial candidate J.B. Pritzker contributed another $7 million to his self-funded campaign March 27, gearing up for a billionaire showdown against incumbent Gov. Bruce Rauner in November. Pritzker, whose estimated net worth is about $3.5 billion according to Forbes, has donated $76.5 million to his campaign. The March 27 contribution was his first since winning the Democratic primary in March, when he defeated other frontrunners state Sen. Daniel Biss (D-Evanston) and Chris Kennedy for the nomination. Biss ran as the “middle-class candidate” and launched a website that calculated how much Pritzker had donated to his campaign. The businessman’s most recent donation marks his 10th $7 million check to his campaign since its kickoff last year, according to the Illinois State Board of Elections. Less than a week before the Democratic primary, Pritzker gave $6.3 million to his campaign. Rauner, whose net worth is just under $1 billion, gave his re-election campaign $50 million in December, breaking his own record for the single largest political contribution in Illinois history, according to NBC Chicago. He also received a $20 million donation from billionaire hedge fund manager Ken Griffin in May. Rauner barely survived the Republican primary, beating challenger Jeanne Ives with just over 51 percent of the vote. Pritzker has centered his campaign on tackling Illinois’ poor fiscal condition by balancing the state’s budget. Additionally, he said he wants to restore Illinois’ social services and prioritize increasing education spending across the state. In his victory speech, Pritzker said he will beat Rauner and put Springfield “back on the side of working families.” He also took a jab at a Rauner campaign ad which featured the governor riding his Harley-Davidson through Illinois.